Kevin Harvick started 12thand finished ninth, earning two bonus points. Harvick raced from 12thup to the seventh position by the first caution on lap 44. The team came to pit road for four tires, fuel and a wedge adjustment to increase drive off the corner. The No. 4 Busch Beer Ford raced back up to the seventh position but fell back to ninth. The team came to pit road at the conclusion of the stage for four tires, fuel and an air pressure adjustment. Harvick started eighth and finished 15th. The No. 4 fell back seven spots after the start of the stage and fell a lap down on lap 258 as Harvick battled to find rear grip off the corner. Harvick was awarded the free pass as the first driver one lap down at the conclusion of the stage. The Busch Beer Ford came to pit road for four tires, fuel and several adjustments at the conclusion of the stage. Harvick started 15th and finished 10th. He started at the rear of the field after taking the free pass but was able to gain two positions by the lap-365 caution. The Busch Beer racecar came to pit road on lap 365 under caution for four tires, fuel and wedge and air pressure adjustments. Harvick returned to pit road under caution following a quick green-flag run on lap 389 for fresh tires and fuel. He restarted 13thon lap 391 and raced into the top-10 by lap 440. The No. 4 Ford raced as high as eighth on lap 466 but fell to 10thwhile battling Ryan Newman for position. The Busch Beer team held the top-10 position for the remainder of the race. This was Harvick’s series-leading 26thtop-10 finish of 2018. Harvick earned his 17thtop-10 in 35 career starts in the Monster Energy NASCAR Cup Series at Martinsville. 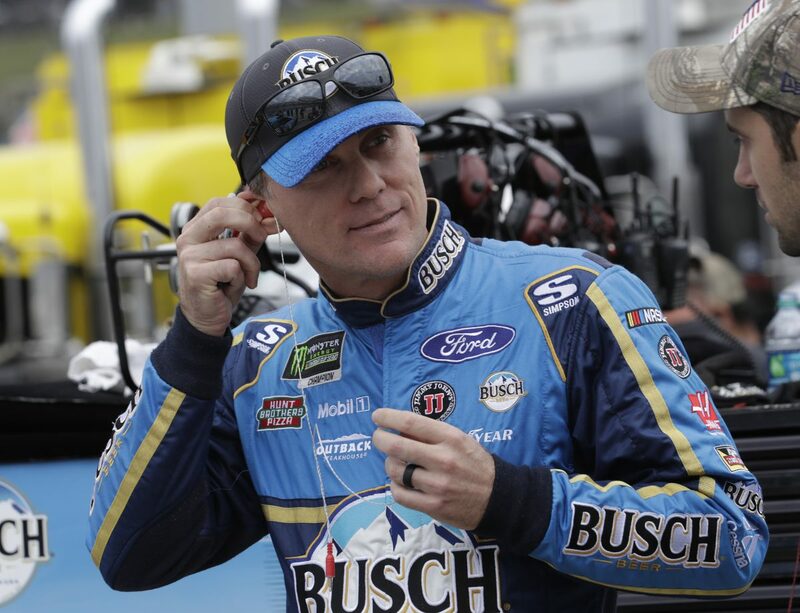 Harvick finished ninth in Stage 1 to earn two bonus points. Joey Logano won the First Data 500 to score his 20thcareer Monster Energy NASCAR Cup Series victory, his second of the season and his first at Martinsville. His margin of victory over second-place Denny Hamlin was .107 of a second.